There are 2 members of staff in the ICT department. They are Subject Leader Mrs Andrea Francis and Mr Neill Rutherford. The department has 2 ICT suites comprising of 30 pupil’s PC’s, teacher PC, projectors, interactive whiteboards, scanners, colour and black printing facilities. 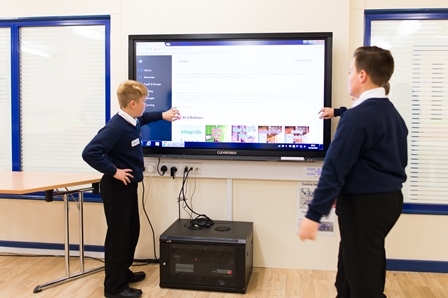 Pupils learn to use a variety of software applications to prepare them for the future, in particular Microsoft Office 2010, Serif suite, Kiran’s Typing Tutor and Scratch. 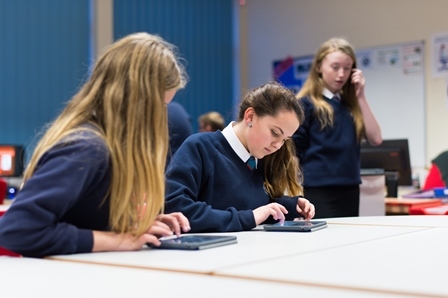 Pupils also have access to other technologies such as iPads to use in lessons. Desk Top Publishing, word processing, presentation software, spreadsheets and modelling, E-Safety including cyberbullying and social networking, data handling, file management, E-mail, animation and basic programming. Multimedia quizzes, advanced Desk Top Publishing, advanced spreadsheets, modelling, advanced data handling, web design, animation, ICT and society and an integrated project and programming using iPad apps. Music Festival integrated project, E-Waste, designing spreadsheet models and databases, ICT , society and programming.